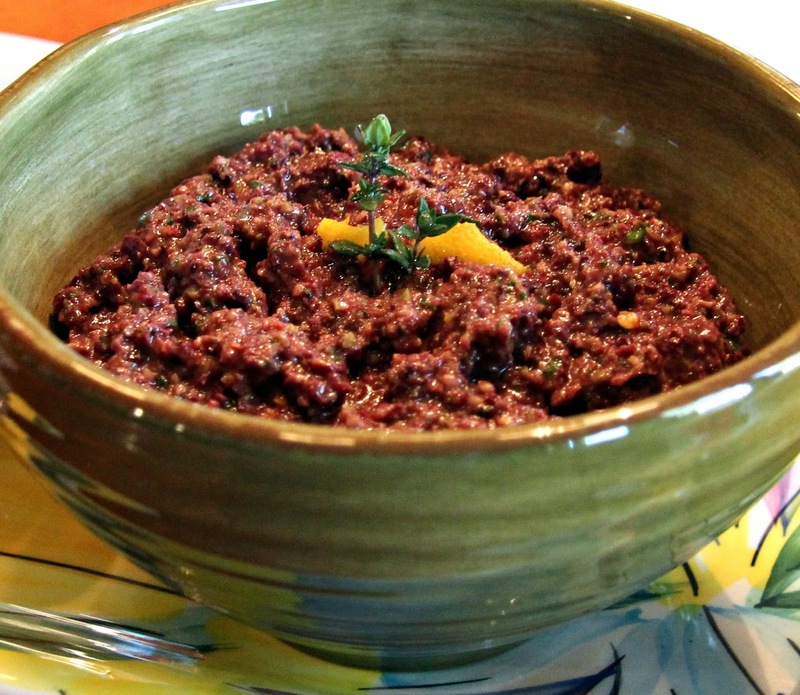 Tapenade is a delicious spread made primarily from olives, capers, herbs and olive oil. It’s most often used as an appetizer with crackers, good bread or crudites but can also be wonderful on sandwiches or as a topping for grilled chicken or fish. I think it’s especially nice with good mozzarella, provolone or mild goat cheese to balance the strong flavor and acidity but then I’m one that tends to think the right cheese makes everything a little better. All it really needs is a cracker and you have a fantastic snack. 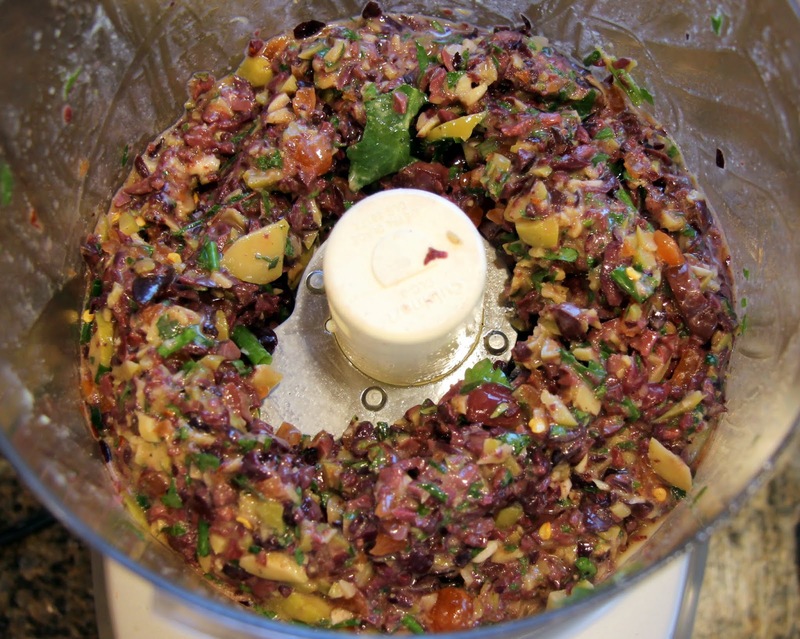 Before you go out and purchase expensive tapenade from the market, I want you to see just how easy it is to make yourself from ingredients you might already have in your pantry or fridge. This is one of those opportunities to really impress your friends without having to go to much effort. 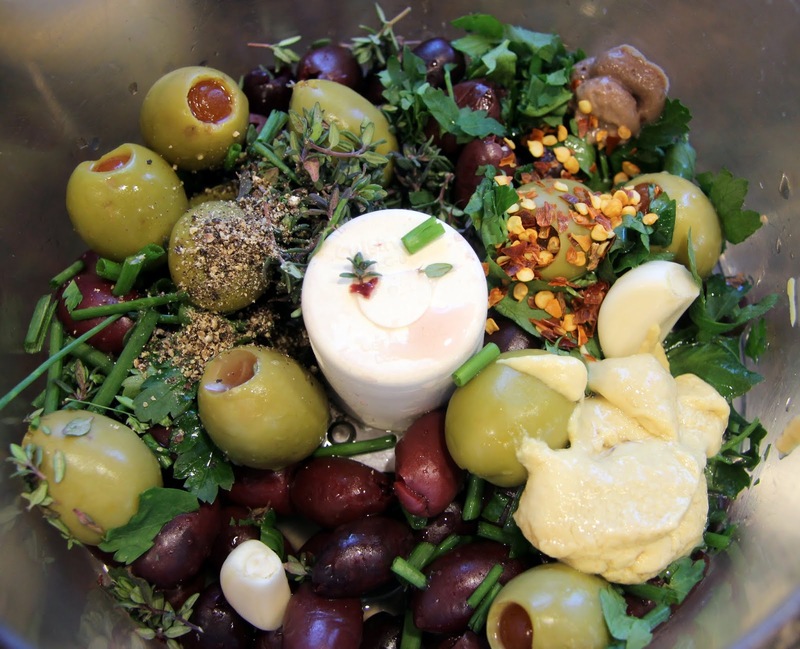 You can customize it to your taste by using your favorite olives and herbs; basil, oregano, marjoram, etc. would all be lovely substitutions or additions. If you can’t stand anchovies, omit the paste and maybe add some worcestershire sauce for that umami component. If you don’t have fresh lemons, try some red wine vinegar to add acidity. I encourage you to play with this a bit, if you’re comfortable, until you have something that really pleases your palate. Taste, taste, taste and taste some more along the way! Of course, if you want to just follow the recipe, I promise it’s quite good. This was actually my first time making tapenade and I look forward to experimenting with different flavor combinations in the future. 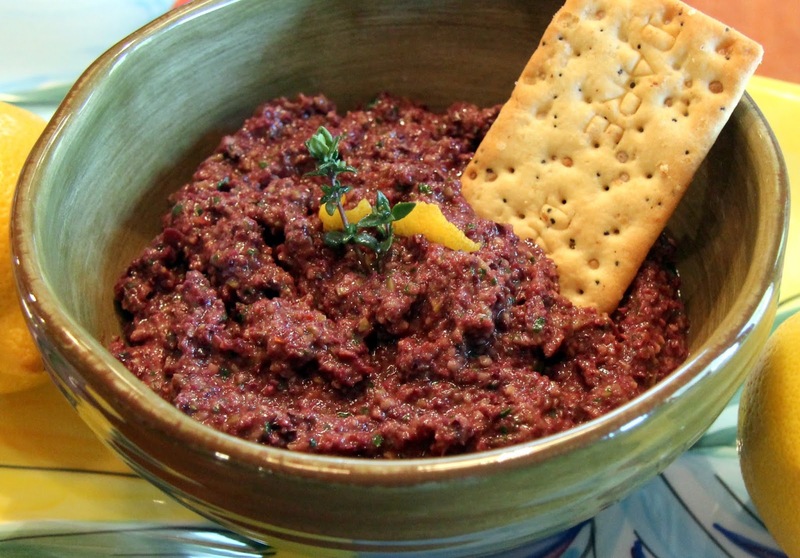 Tapenade will keep in the refrigerator for at least a few weeks but be sure and bring it to room temperature before serving for optimum flavor. Prepare your herbs. 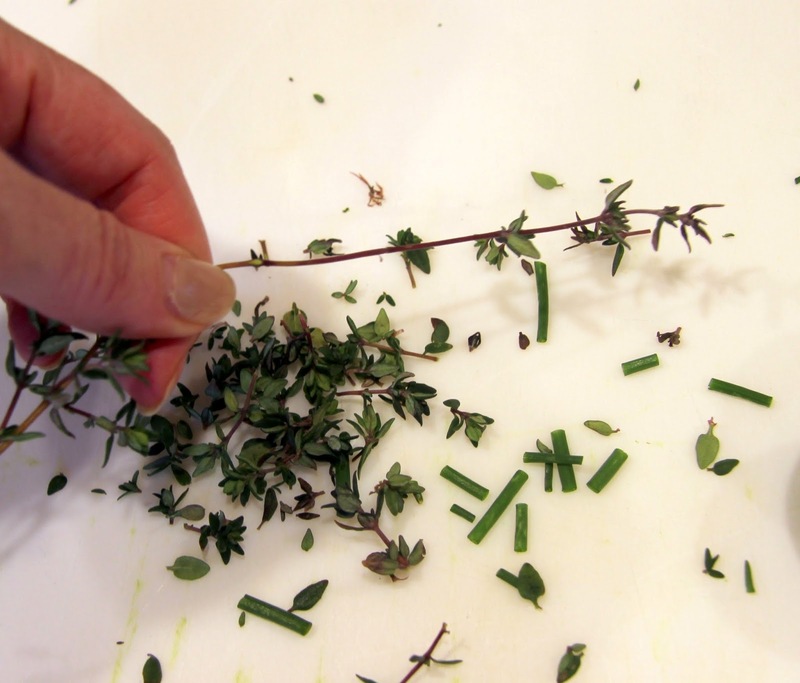 When using fresh thyme, I like to just slide the leaves right off the tough stem with my fingers. Juice your lemon. Peel your garlic. 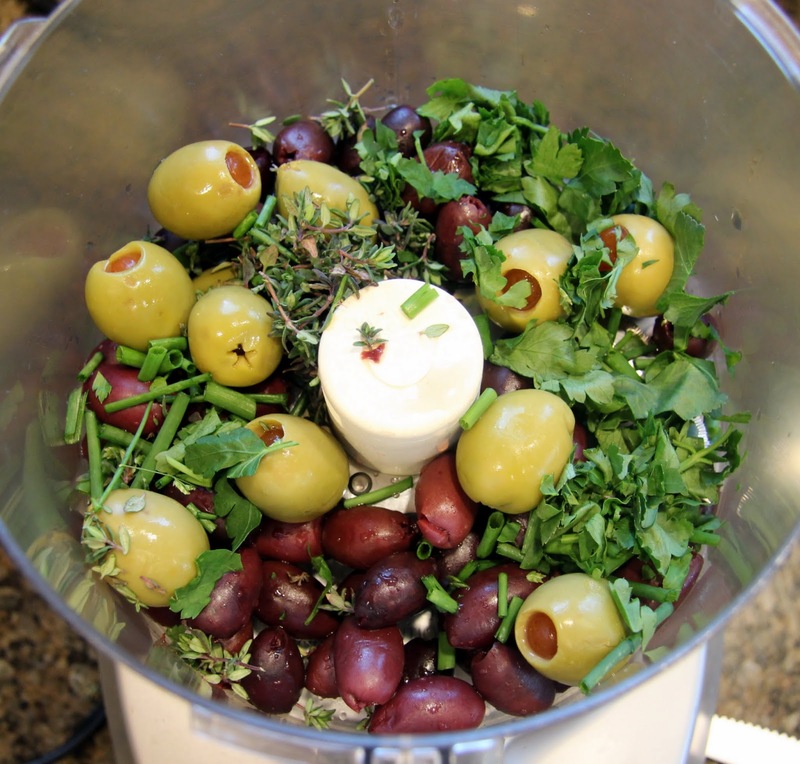 Place all of the ingredients in the bowl of a food processor or blender. Pulse or blend slowly until ingredients are combined. Increased speed a bit and blend until pretty smooth, with very small chunks. You’re done. Impress your friends and family. Common reaction: “What?! You made this yourself? Amazing!”. This about sums it up… Honor your mother this week and always!